The sixth day of Oscar Pistorius trial has begun with the questioning of Pieter Baba, a security guard at the Paralympic champion’s home. Pieter Baba said he had phoned Oscar Pistorius and not the other way round, as the defense team had suggested. Later on Monday the trial expects to hear from Professor Gert Saayman, a specialist in forensic medicine and the trial’s first expert witness. On Friday Pieter Baba, a security guard working at Oscar Pistorius’ gated community, spoke of his shock at seeing the athlete carrying a dying Reeva Steenkamp down the stairs at his villa. Pieter Baba said he had called Oscar Pistorius in response to neighbors’ reports of gunfire from the house in the early hours of the morning. The guard said Oscar Pistorius had told him: “Everything is fine,” before calling him back a few minutes later and crying down the phone. 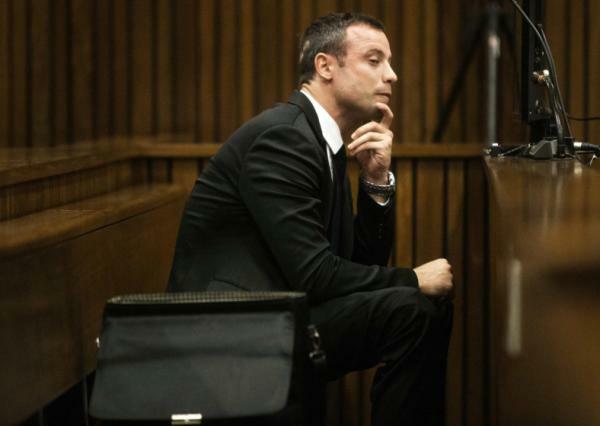 On Monday, Oscar Pistorius’ defense lawyer suggested the athlete had called Pieter Baba first and not the other way round, but the witness stuck to his testimony. Oscar Pistorius’ lawyer, Barry Roux, then suggested his client had said: “I am fine,” and not: “Everything is fine,” but again the witness said this was not true. “My Lady, what I just told the court is the truth” Pieter Baba told Judge Thokozile Masipa.